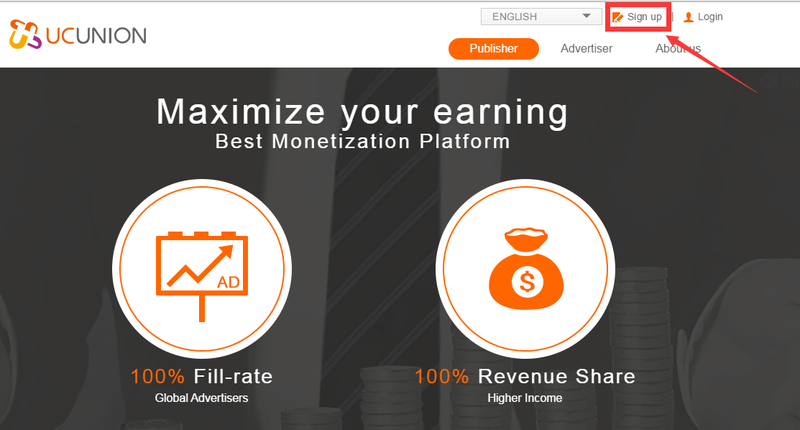 UC UNION is dedicated to global traffic monetization, free traffic exchange and app promotion. 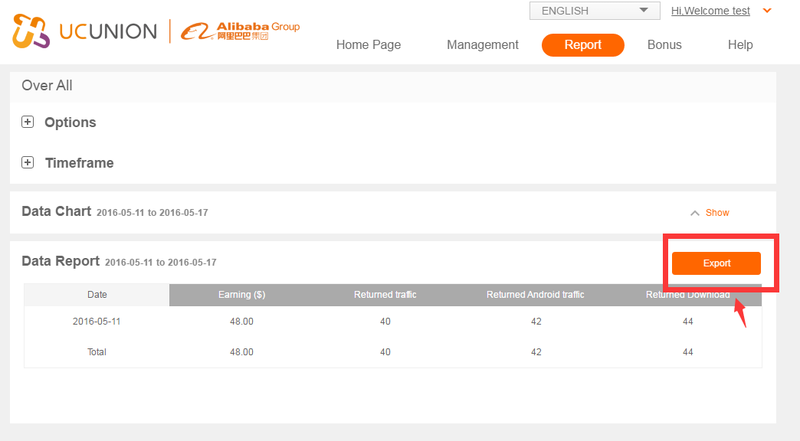 It is the Global Traffic & Monetization Platform by Alibaba Mobile Business Group. 2. Please fill in the relative information. 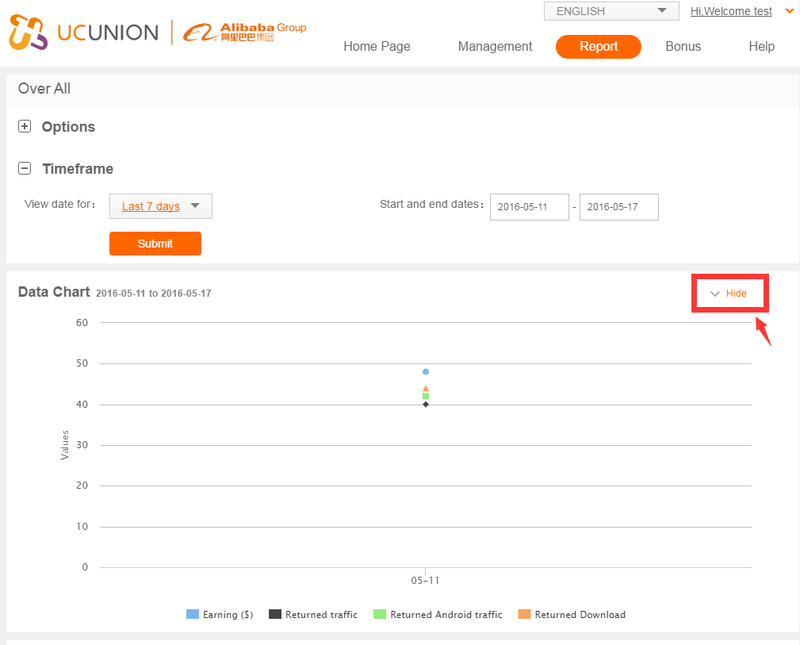 ＊Don't forget to fill in your friend's UNION Account by 【Referrer(Username)】 to get BONUS, If you are the referred by your friend. 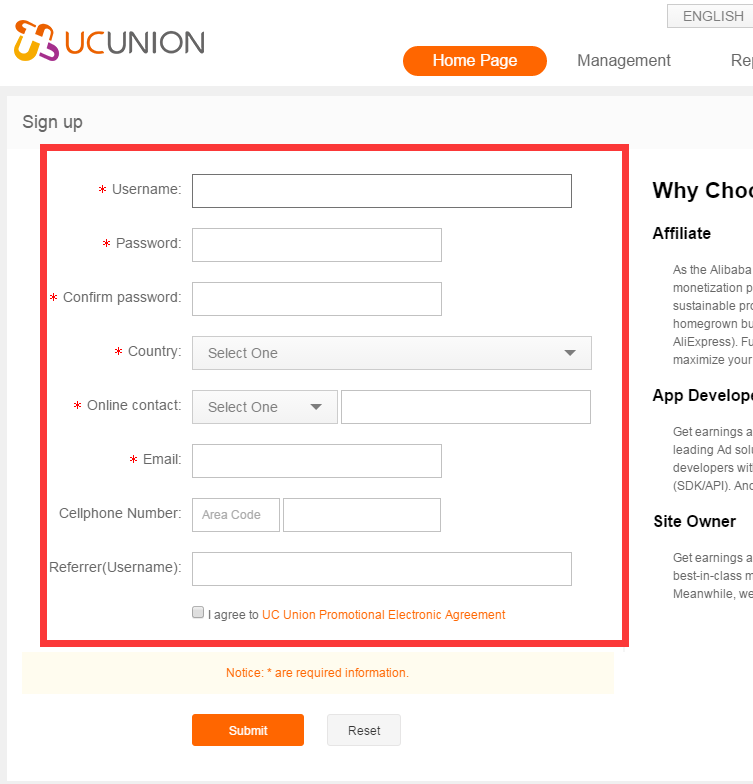 1.Log in UC Union, and go to Management tab. 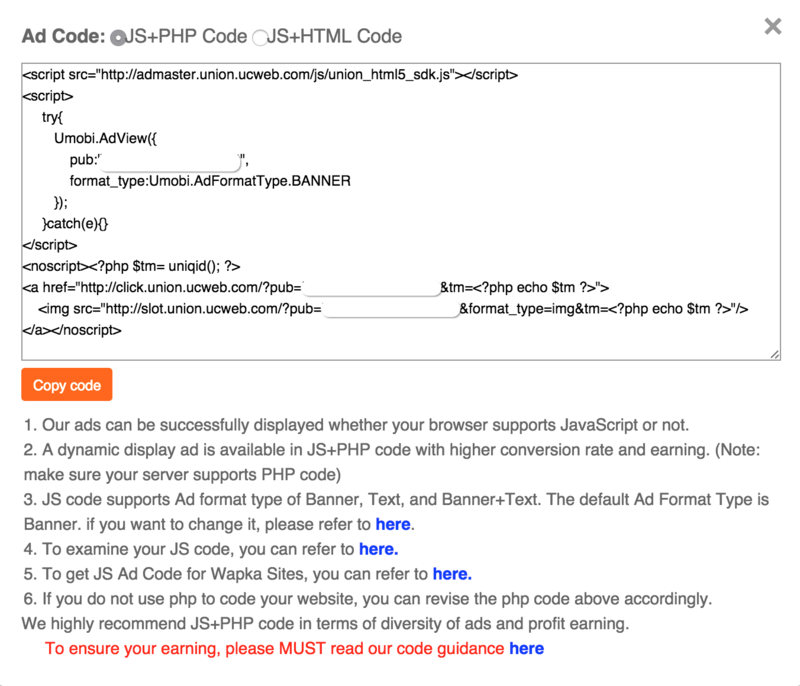 Click Submit Application/Sites button. 2. 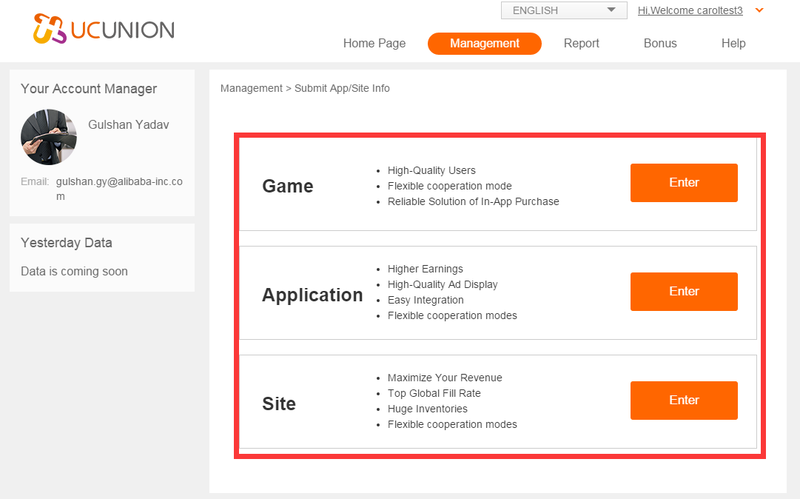 Please choose the Promotion Type (Game/Application/Site), and fill in the relative information. 1. Please move to Management → Submit App/Site Info. 2. 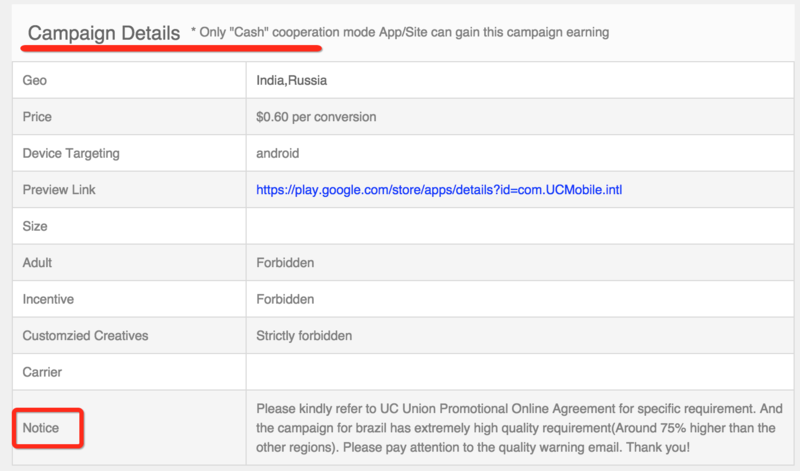 Choose a cooperation mode and follow our steps to complete the submission. 1. After submit, UC Union will approve or reject your submit within 3 working days. 2. After your sites or apps is audited, you will receive an email regarding the audit details. 3. GET MONEY!!! Please fill in payment info and personal info as soon as possible. Please Click here: Payment Account. 4. 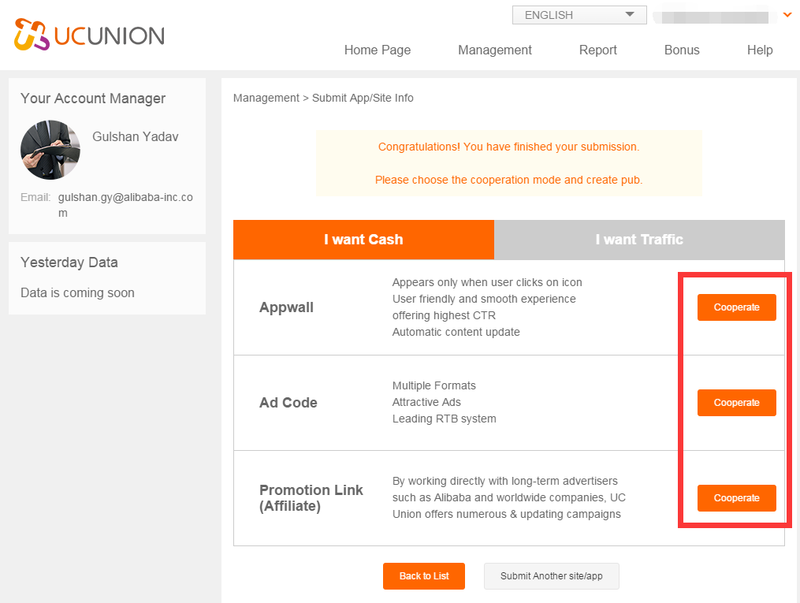 It is avaiable to check the data of all added/pending/rejected sites separately in Management tab. Please move to the Management tab. 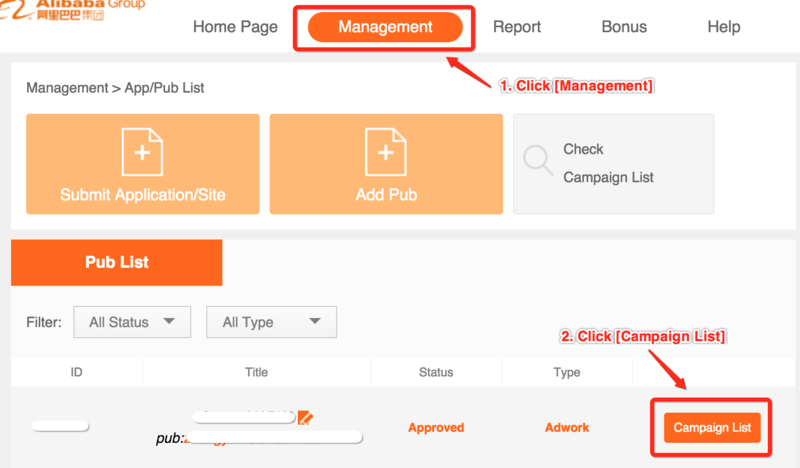 Click the Campaign List button. 2.All Camoaign - You can find all campaigns. 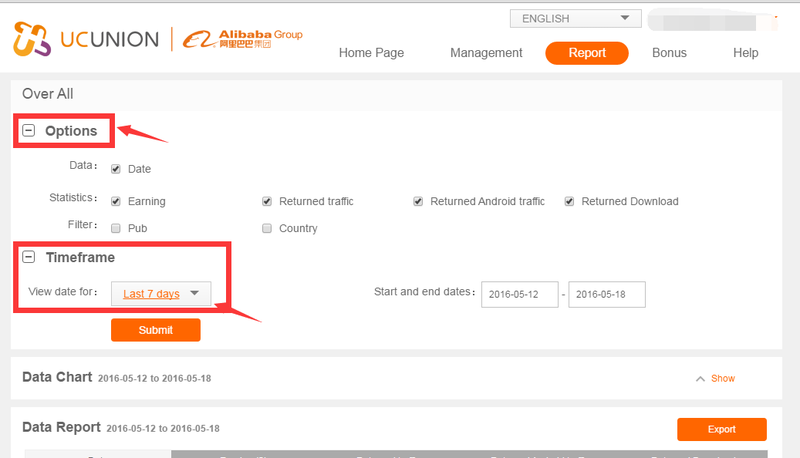 3.It is available to search by caregory/country/product name. 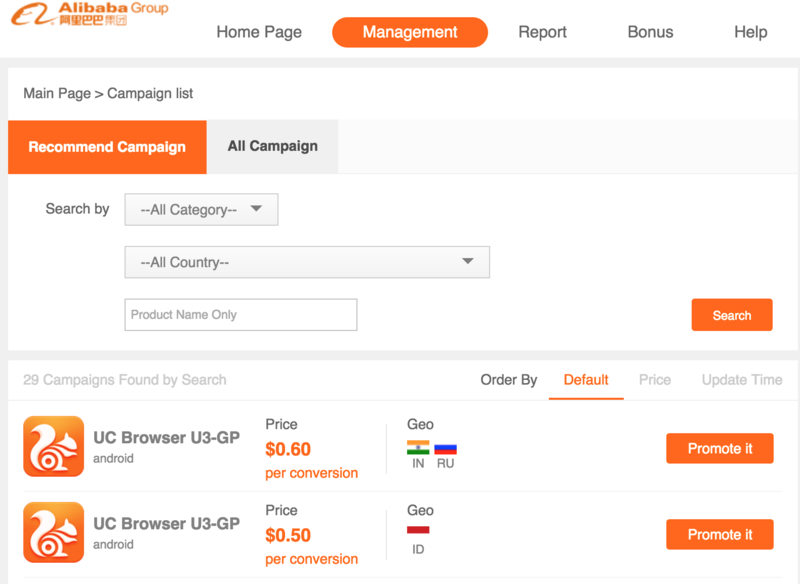 Click Promotion it to find detail information of the choosing campaign. 3. Attention!!! 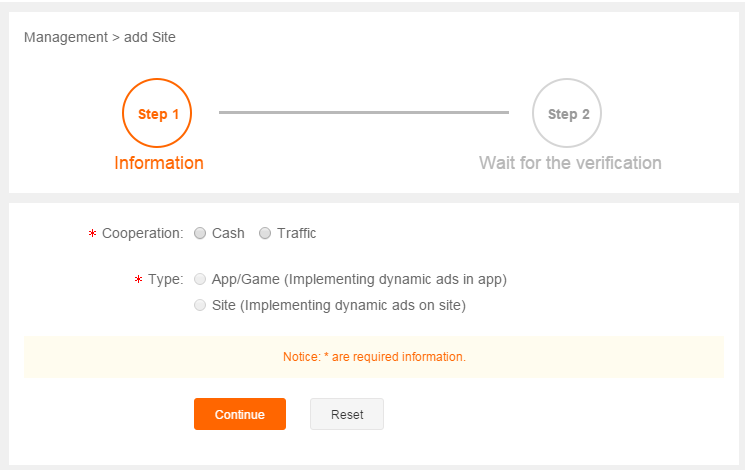 Please read CAMPAIGN DETAIL carefully, there are some requitments by advertisers, such as quality Monitoring, adult or incent traffic.etc.. Please move to the Management tab. 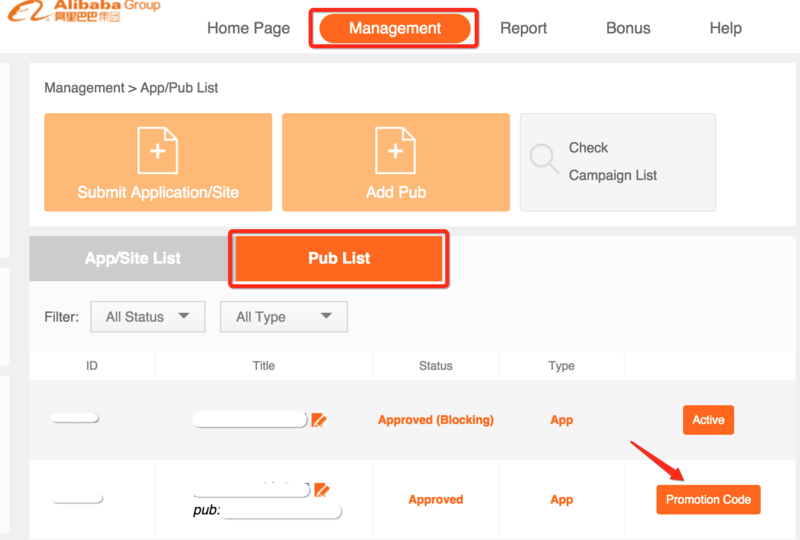 Click the Pub List → Promotion Code button. 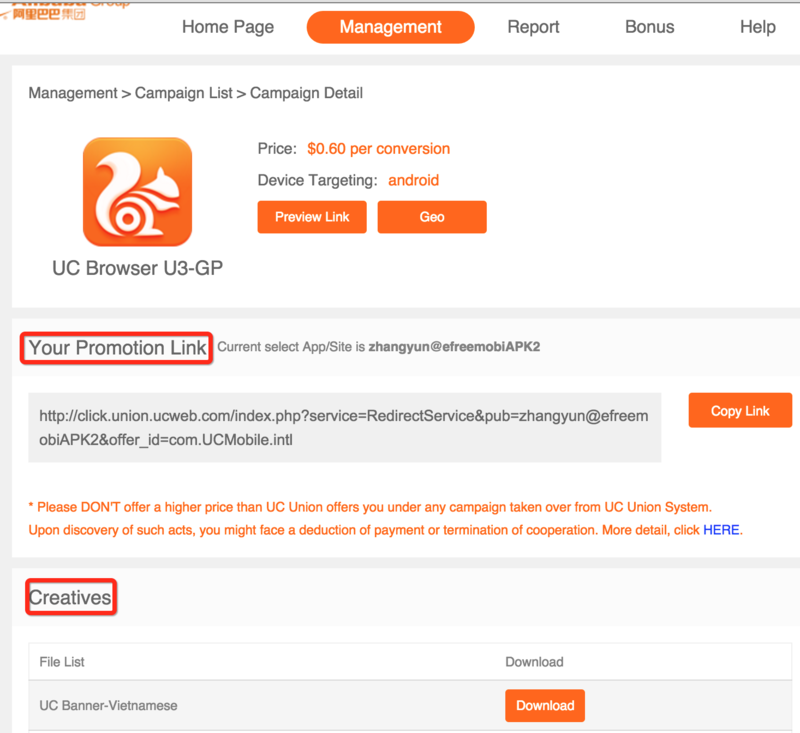 2.1 To get UC Union Ad Code or SDK, please Click Copy code button to copy the code. 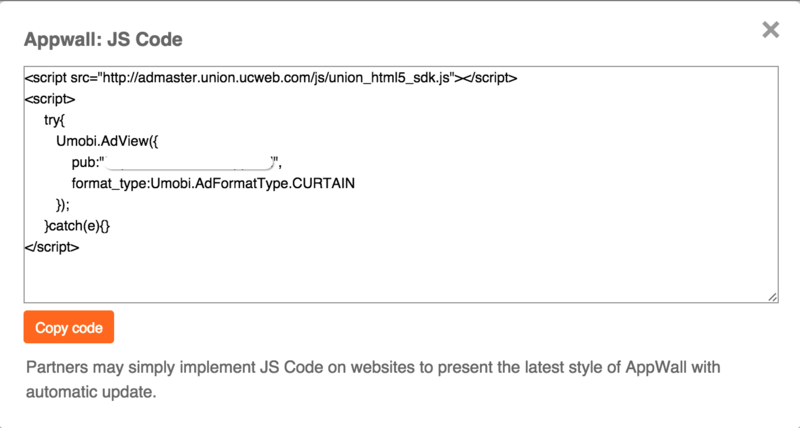 2.2 FOR Appwall cooperation partner, to get JS Code, please Click Copy code button to copy the code. 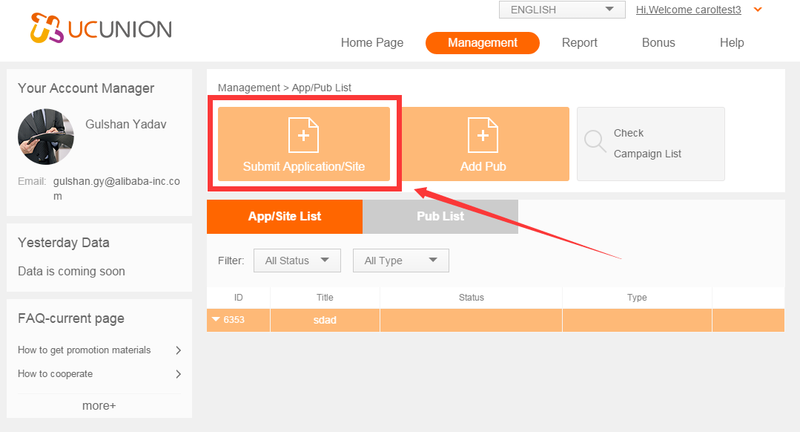 2.3 FOR Appwall cooperation partner, to get appwall link, Click Copy link button to copy the code. 5.1 There are five statistics types of data report. 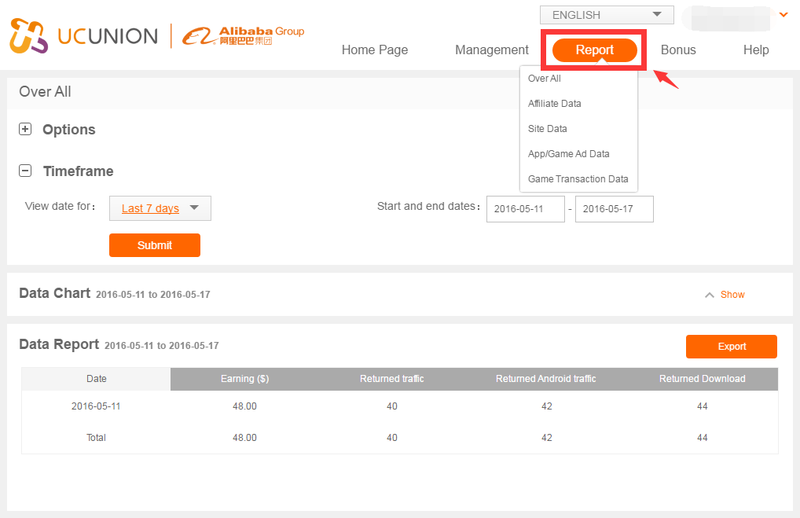 To check each Cooperation Type, pleace choose the relative info. *UC Union provides a reliable system for data statistics and easy-to-use interface for performance reports. 5.2 To check [OPTIONS], to choose the each relative info. 5.3 Please click [SHOW] to check the data chart. 5.4 If you want to export the data, please click [EXPORT]. More detail, please contact your account manager. 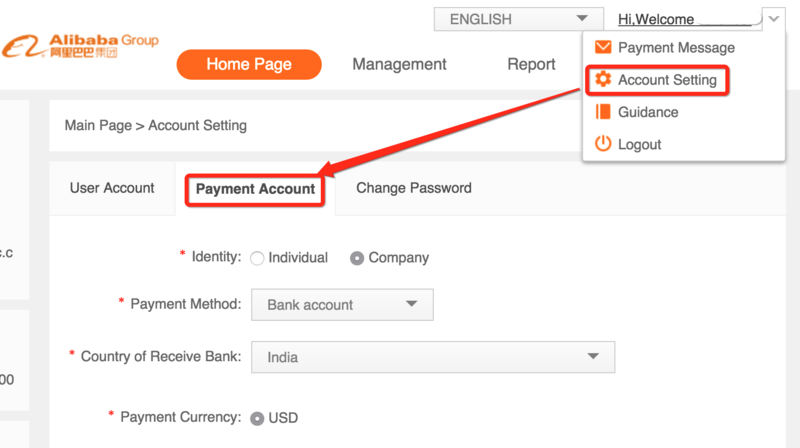 Please log in www.uc-union.com, click Account Setting to fill in Payment Account information. Attention!!! Please read ‍‍‍‍TERM OF PAYMENT ‍‍‍‍carefully first. 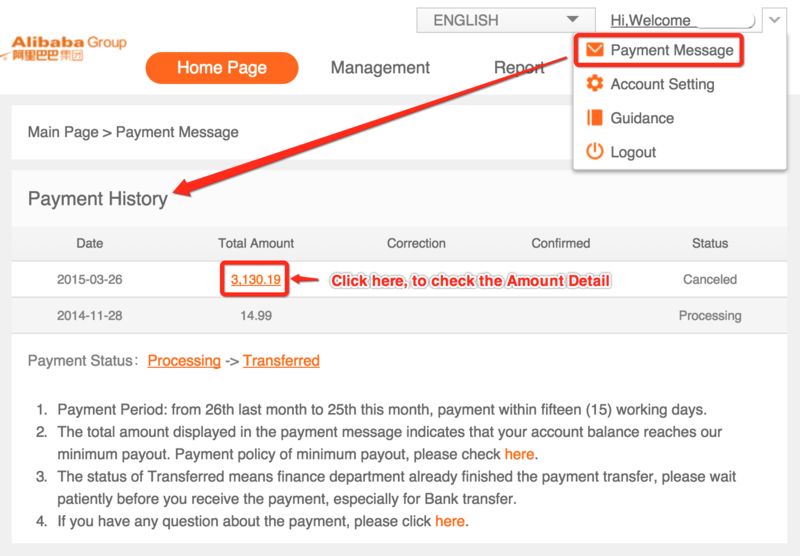 Please log in www.uc-union.com, click Payment Message to check account earnings for each month and payment status.